Disappointed in the design. The drawer does not slide easily and the eggs are not completely covered to keep them fresh.. I will utilize it in some other way. I would not recommend to others. 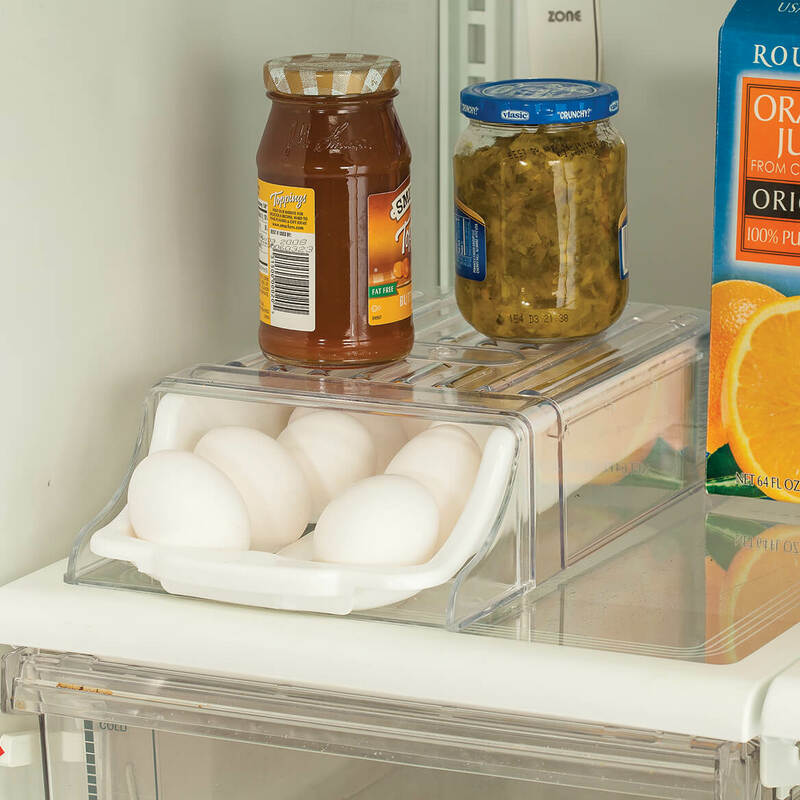 The egg drawer is what I needed so I can have them handy and I wanted to condense my space in my refrigerator. Be sure to put something heavier on top of it because the whole thing will slide out if you don't. That's why the 4 stars and not 5. Like the concept of the product but not quite sure about how the eggs sit in the holder. Eggs seem to roll around once a couple are taken out. 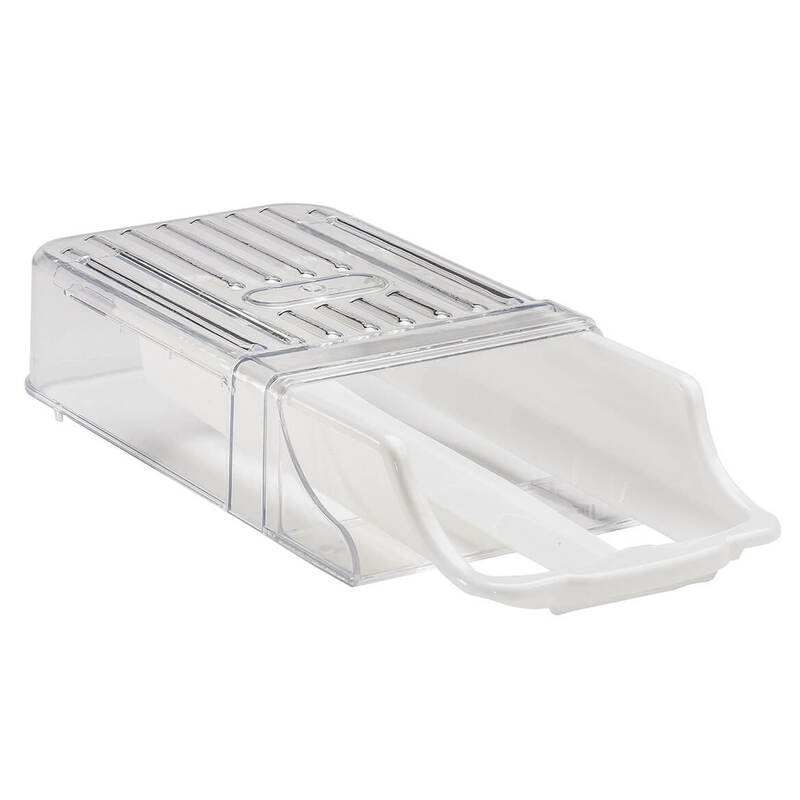 A compact egg container without having to lift lid to remove items on top but giving top storage area. Could, perhaps, be not quite as wide. So i don't have to keep pulling out the carton of eggs. I'm tired of having the carton of eggs itself in the fridge and afraid of stacking anything on top of it for fear of breaking the eggs. Looking forward to opening fridge space!!! I like new and different items. Easy to see how many eggs I have remaining. Hoping it will give me a little more storage and I like the idea of getting eggs out of the drawer ..